May the fourth be with you! 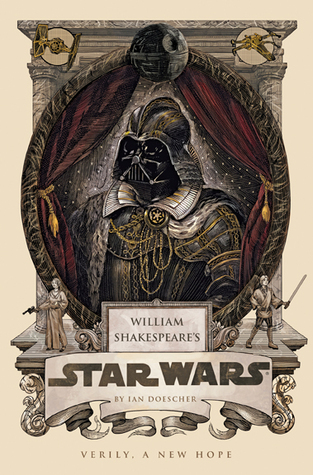 Today only I am giving away a copy of William Shakespeare's Star Wars on Twitter. All you have to do is retweet to enter. U.S. entries only please. 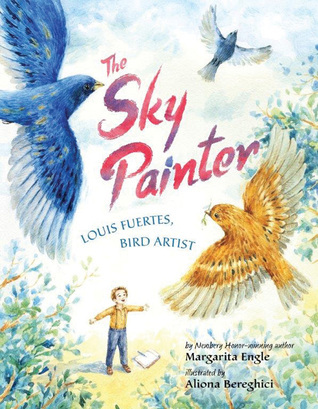 Speaking of giveaways, last week I interviewed Newbery honor author Margarita Engle for her new book The Sky Painter. 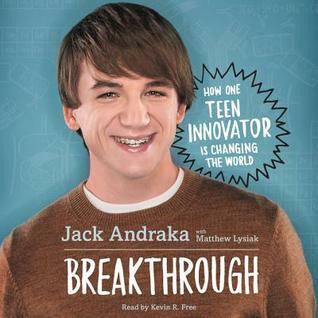 There is also a giveaway to go along with the interview. I have a review scheduled for this book tomorrow, but, spoiler alert, this is my favorite collection of poetry EVER. I'm glad this wasn't my first Carl Hiaasen rodeo because if it were, I'd likely not want to read any more of his books. I wasn't a huge fan of this one. I got to see William Ayers speak when To Teach came out as a graphic novel. I think that was one of the first times I saw graphic novels as being more than just super heroes and comic strips. 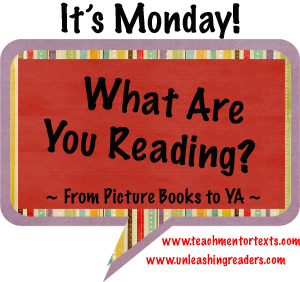 Well, if the Boy in the Black Suit wasn't already on my to read list, it sure would be now! That was some review! 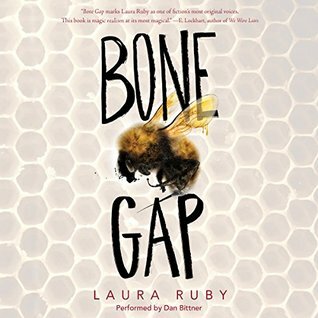 It was interesting reading your review of Bone Gap because I loved the mythology connections (Thankfully I never had a teacher like yours) I felt like you did about Skink. 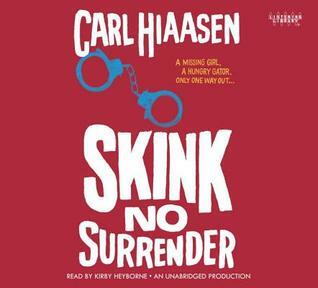 Carl Hiaasen has written so many better books. Hello! May the 4th be with you! I definitely want to read Boy in the Black Suit. I have been inching to read it since ALAN. Now that school is winding down, I am looking forward to getting to some of these. Thank you for the reviews, Beth! 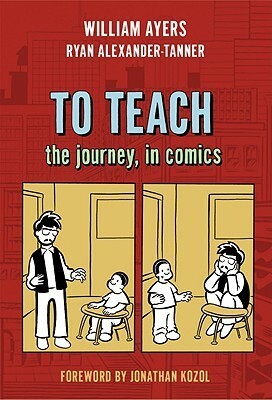 I read To Teach, the graphic novel, a couple of years ago when I was thinking about including it in one of my methods courses. Ended up not including it, can't remember why. Maybe I need a reread? So glad you loved the Sarah Kay title. Isn't it wonderful? So sad to hear that you didn't like Skink! I am excited to read it as I love everything Hiaasen writes. Why didn't you like this one? I didn't know about To Teach, and I think I need to get my hands on it! Combination of teaching and GNs? Love! 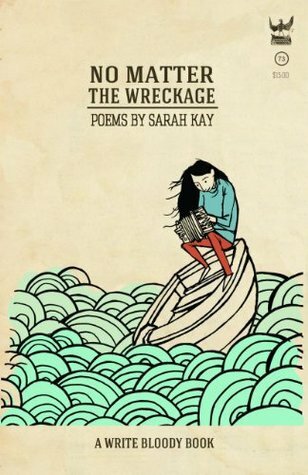 I love, love, love, Sarah Kay and No Matter the Wreckage is amazing. Glad you enjoyed it too. I am so glad that you loved No Matter the Wreckage. My husband gave me the book as a gift during my birthday and just fell in love with it. Read it in one night, I think. 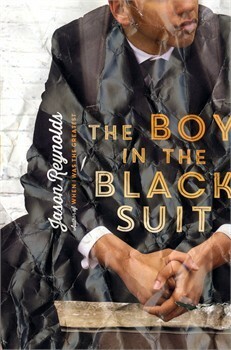 I've been hearing so many great things about The Boy in the Black Suit - will try to find it soonest. We don't have Bone Gap in our library yet. Boohoo.